Judging by the promotional video, the British Library's new exhibition of nineteenth-century photographs looks great. It's also inspired me to begin a series of posts here on the blog about long-exposure photography. More info after the video! 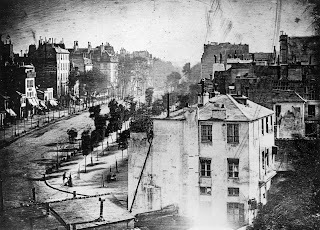 My favourite nineteenth-century photographs are the ones from the early years of the technology's development, when exposures had to be extremely long due to the photographic plates' lack of light-sensitivity. 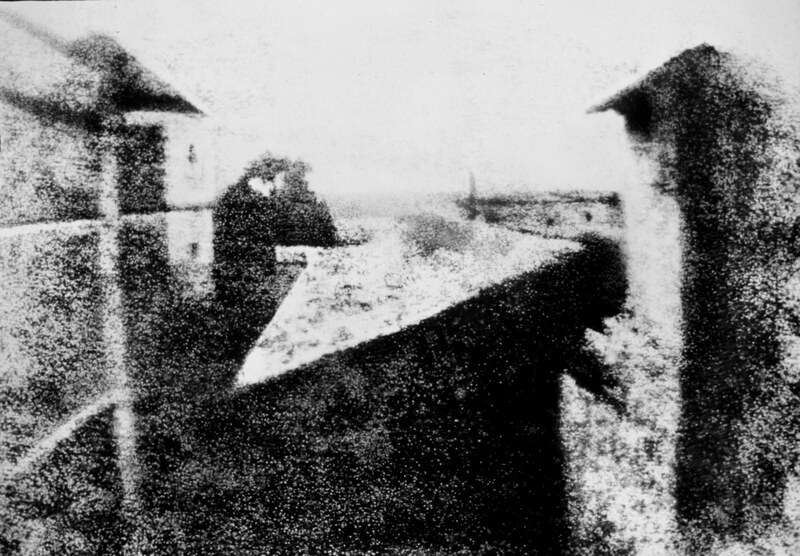 Take View from the Window at Le Gras (1826), for example: the buildings on the left and right are both in full sunlight... because the picture took eight hours to execute! The consequence of this was that pictures of busy scenes like the one below, of the Boulevard du Temple in Paris, show streets devoid of traffic. The ten-minute exposure meant that the constantly-moving people and vehicles became no more than a faint collective blur in the final image. That is, apart from one person: a nameless man who, while having his shoes shined, became the first person in history to have their photo taken. Come back on Monday at 1.37pm for another installment in my new series of ramblings on long-exposure photography!